The Middle Centre was established in 1988 to provide a focus and promote interdepartmental co-operation among the Middle East scholars of the University. It does this, among other ways, by having guest lectures as well as inviting guest professors or visiting researchers. For local users, the Centre also has a specialist library on Middle Eastern topics, containing among other items a large collection of publications and sources for the history and society of the Sudan. The last few years has been one of transition for the Centre. 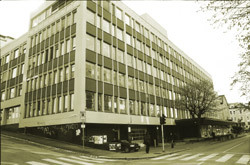 In 2002, we moved to Nygårdsgt. 5, in the University's 'Stein Rokkan Building', where we share a floor with the 'Unifob Global' centre (formerly Centre for Development Studies), a further move to a new building to be shared with the Chr. Michelsen Institute is envisaged for 2009. These physical moves coincide with some organizational changes, in which the Centre has been assigned to the Humanities faculty (from Social Science), it does however still cover both fields of research. Further new aspects is co-operation with the Middle East Research group at the AHKR department, and its Ph.D. seminar. The Centre is also involved with the Bachelor Program in Middle Eastern Studies. There has also been some personell changes. Dr. Knut S. Vikør, who was the director of the centre since 1988, left in 2002 to take a chair in Middle East history at the History department (now AHKR). 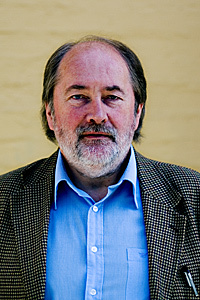 He was replaced by Professor Anders Bjørkelo, who became Research Director of the Centre from 2005. Ms. Sylvia Liland, the Centre's secretary since 1994, took early retirement in 2003.